Sunday 27th May kicked off national Sāmoan Language Week, with each of the main city centres hosting a service at a nominated Sāmoan church. There will be loads of events happening across Christchurch (the Ministry for Pacific Peoples website has a national events calendar). This year the national theme for le Vaiaso o le Gagana Sāmoa is “Alofa atu nei, alofa mai taeao.” Kindness given is kindness gained. To incorporate the themes of alofa (love and kindness) and ‘āiga (family) into our activities here at Christchurch City Libraries we are shaping our Tala mo Tamaiti (Storytimes sessions) around a picture book called How Do You Say ‘Thank you’? 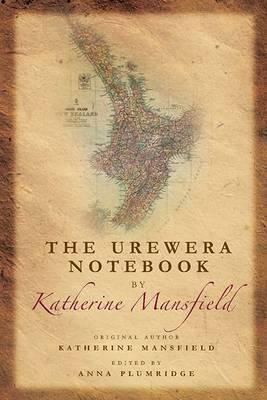 by Sāmoan author Karamia Müller. We were lucky enough to get permission from Karamia to feature her book for the week, and to catch her for a moment in her very busy life to have a quick chat to find out more about her writing and her life outside of writing. Karamia was born in Honiara in the Solomon Islands. Like many peoples of the Pacific, her Sāmoan heritage is influenced by the many islands of the Pacific, with her father being raised in Fiji, and her paternal grandfather being brought up in Tonga. It was the pull of family settled here in New Zealand that led to Karamia’s family settling in Auckland. She is the youngest of five siblings, and a proud aunty to three nieces and 4 nephews who range from 5 to 11 years old. A creative in many ways, Karamia is currently completing her Master’s thesis at the School of Architecture and Planning at the University of Auckland. As is common with many New Zealand-raised Sāmoans Karamia was not brought up speaking Gagana Sāmoa exclusively. And like many of us who are not allowed the privilege of speaking our own languages for different reasons “this absence was felt profoundly.” Being the younger of her siblings, her mother spoke Sāmoan to her older sisters but Karamia has had to take on the learning of Gagana Sāmoa as an adult. It was this learning journey that inspired Karamia to write How Do You Say ‘Thank You’? After finding that her learning style was not suitable for learning languages, she wanted to share her technique with others with similar learning preferences through the navigators in the book Alofa and Filipo. Karamia acknowledges that as a Samoan, speaking Samoan is important to us all. She is not only working on developing her proficiency in Gagana Sāmoa, but also looks to utilise Indigenous Pasifika themes and titles wherever she can in her architectural practice and scholarship. When I first started to ask Karamia questions she assured me that she was “quite boring”, but after speaking to her I felt nothing but awe and inspiration. Thank you Karamia for sharing with us. If you or anyone you know is also looking to improve your Gagana Sāmoa or begin your learning journey we have plenty of resources to get you going here at the library. There are also some excellent courses in Gagana Sāmoa for adults at Ara Institute of Canterbury. Ia Manuia le Vaiaso o le Gagana Sāmoa! Happy Sāmoan Language Week! 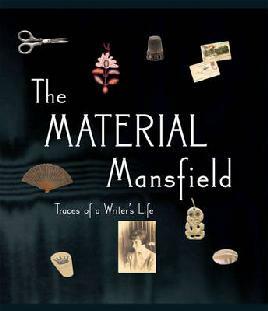 What is it about Katherine Mansfield that continues to capture the imagination? Is it her gamine figure and thoroughly modern bob? Is it the fact that she died so young, at only 34 with presumably many more stories in her left unwritten? Is it the idea of someone with such a proper upbringing would so fully embracing the literary, bohemian lifestyle? Is it the turbulent, drama-filled love life? Or is it even… the writing? 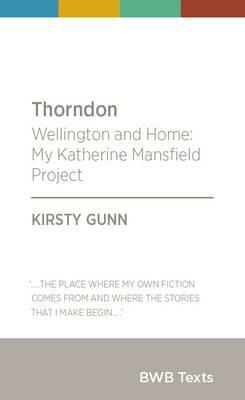 Early New Zealand Women Writers. Some of their work described as racy and corrupting! 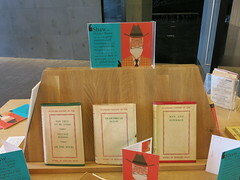 Check out some of our pioneer women writers. 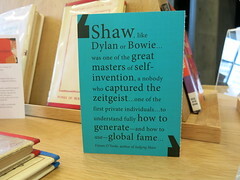 Some wrote very controversial books; many were published overseas and became hugely popular. Set on a King Country Station, Jean Devanny’s The Butcher Shop is about adultery and murder. It was described as disgusting, polemic and ahead of its time. 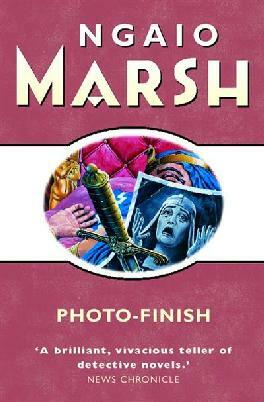 It was banned on publication in New Zealand and in many other countries due to the violence, open sexuality and feminism portrayed within its pages. 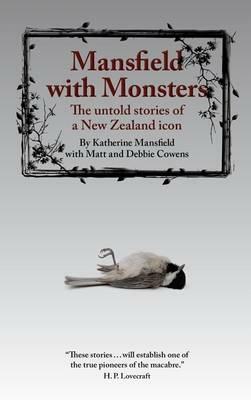 Jane Mander’s The Story of a New Zealand River is set in Northland and describes the issues faced when a local sawmill boss marries a cultured, piano-playing Englishwoman, who brings with her to the bush her children from a previous marriage. 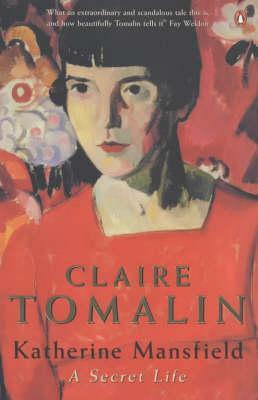 It has been suggested that this novel provided inspiration for elements in Jane Campion’s film The Piano. Isabel Maude Peacocke wrote children’s books and light romances set in Auckland. 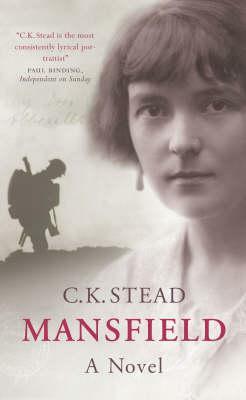 Although not well known in New Zealand, she had a large readership in England, where her work was published. 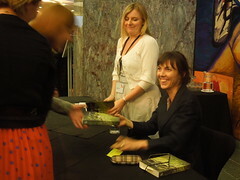 Nelle Scanlan wrote four family-sagas set in New Zealand. The novels in the ‘Pencarrow’ series (Pencarrow, Tides of Youth, Winds of Heaven, and Kelly Pencarrow) published between 1932 and 1939, portrayed early New Zealand as a prosperous thriving country. 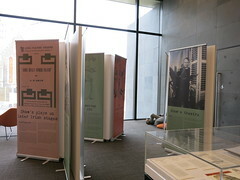 They were very popular and considered to have created an interest for New Zealand fiction in that era. Nelle also published many novels in England before writing the ‘Pencarrow’ sagas. 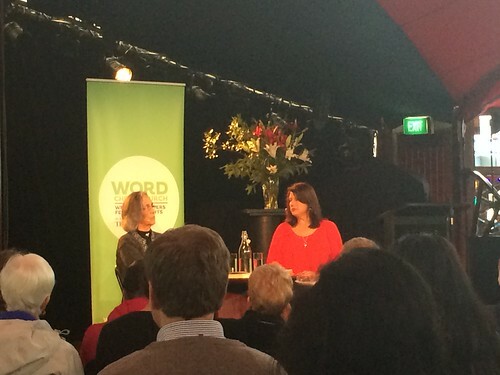 She was the most popular New Zealand novelist of her generation. Rosemary Rees could be described as the pioneer ‘chick lit’ writer! 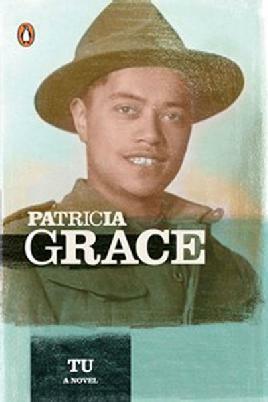 She wrote racy romance novels, some of which were set on back blocks farms in the North Island. 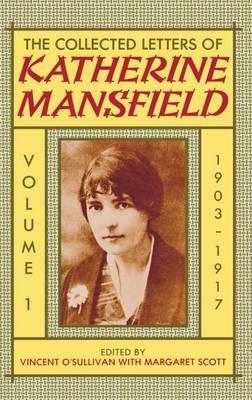 Her 84 novels became so popular that some were serialised in papers in America and Britain. Mary Scott made international success with the writing of her rural domestic comedies which began with the publication of her ‘Barbara’ newspaper sketches in 1936. 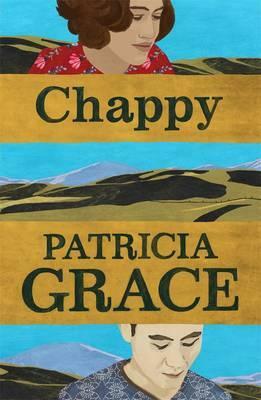 One of her most popular novels was Breakfast at Six about newlyweds and their life on a back-blocks farm and the problems and pleasures faced by a rural community in New Zealand. It was followed by the sequel Dinner Doesn’t Matter. 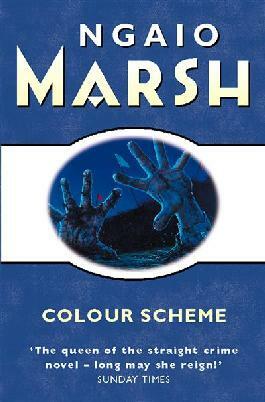 If you haven’t already, do try a Ngaio Marsh mystery. 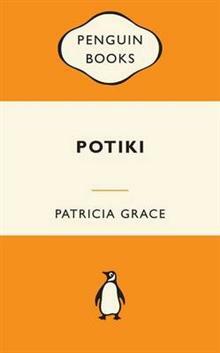 Described as one of the Queens of Crime Fiction of the 1920s and 1930s, she is probably best known for her wonderful detective novels featuring Detective Inspector Roderick Alleyn; four of these (Vintage Murder, Died in the Wool, Colour Scheme and Photo-Finish) are set in New Zealand. 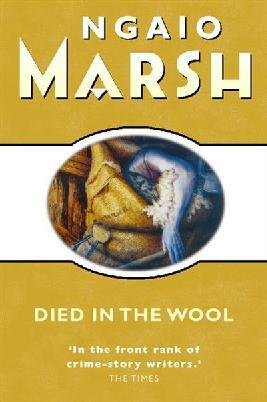 You might also enjoy reading our blog posts about Ngaio Marsh. Please note that some of these books are only available at our Store. 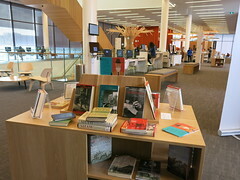 There is no public access to this collection, but you can place holds on most Store titles for borrowing. Reference only items held at Store can be sent to Central Library Manchester for viewing – please ask a librarian to arrange this for you. Do we change or don’t we change? 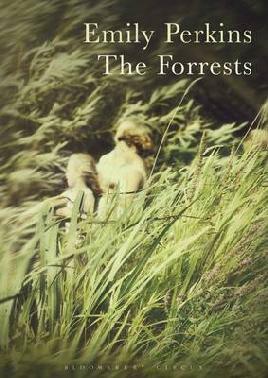 I managed to get my hands on a copy of the newly released The Forrests at the airport and became so engrossed that the flight attendants were handing round the boiled sweets before I knew it. Today I saw award winning author Emily Perkins discuss her latest novel in conversation with Paula Morris. This is the story of the Forrest family and the secrets and demons that haunt them. Their creator says that one of the family’s main problems is that there are just too many of them. Lee and Frank Forrest can’t live with or without each other, and they put their complicated, troubled relationship before the needs of their four children. The Forrest family is deeply dysfunctional and your heart goes out to each in turn. The main character in the novel is third child, Dorothy. 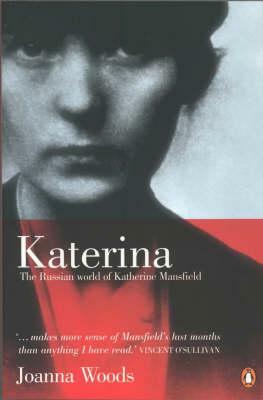 The author started to write, in a ‘mossy and accumulative way’, a series of poles in this character’s life. She selects interconnected threads that reflect changes of mood and style to create the novel’s structure. Underpinning the work is the question of whether or not human beings really change. Emily Perkins doesn’t aim to provide a definitive answer. Instead she shows Dorothy being influenced by the changing circumstances of her life. She adapts but there is something at her core that remains constant. The Forrest family immigrate from the United States when Dorothy is seven years old. They are outsiders with not even the Commonwealth connection to make them feel at home in New Zealand. A boy called Daniel attaches himself to the family and shows them how to get by. He’s also an outsider from a troubled background but he’s a survivor. 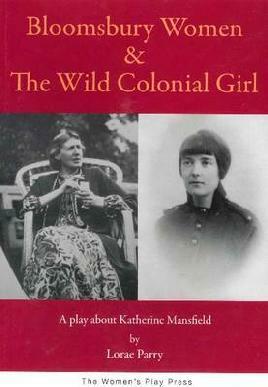 Dorothy’s complex relationship with Daniel is at the centre of this novel. He’s ‘a touchstone for her sense of self’ and provides the gravitational force in her life. Emily Perkins has created memorable characters in this narrative. They’re familiar. I feel like I know them. The Forrests feels like a New Zealand book. The Kiwisms help – the possum smell of woman’s hair and the glow-worms that mirror the night sky. This is a story with ‘Auckland light and Auckland trees’. You sense the big sky and the mental space that surrounds the characters. A new novel by Emily Perkins is always an exciting prospect and The Forrests doesn’t disappoint. The author’s aim is to experiment and she enjoys the freedom to be exploratory and do different things in every book. With The Forrests she says she breaks a style of writing she’d had enough of. This work takes writing rules and breaks them. It’s got emotional grit. I’m already looking forward to her next work. Perhaps it will be The Albanian Book that was put aside while The Forrests was being written as part of her Masters thesis? Who knows, but Emily Perkins is an author with something to say and I, for one, am very willing to listen. Snacks are the ultimate (writing) props. The kettle, the fridge, sharp pencils and good paper. When a friend asked me out for the evening to a fundraiser at the Oxford Working Men’s Club, I said yes without really listening. By happy accident, it turned out to be an evening with international bestselling author Sarah-Kate Lynch on the first stop of a tour to launch her new book Dolci di Love. Tickets sales along with proceeds and royalties from the evening were donated to the Red Cross Canterbury Earthquake appeal. For me, an incurable romantic is a person blessed with a limitless supply of hope. They are not brought down to earth by the ordinariness of everyday life. Their joie de vivre is not snuffed by sadness. They are not put off by adversity, but instead see challenge. They use escapism to recuperate. Look for beauty in pain. Seek light where there is dark. They read romance when things are tough. Sarah-Kate is such a woman. She talks of happy accidents, including her accidental career as a writer, and the “happy” accident that occurred when her husband “the Ginger” lost his job when the film he was working on got cancelled. They used the opportunity to tour around Italy, finding themselves in Tuscany. She thought of Tuscany as overhyped, and was delighted to find it was a “fairytale waiting to happen”, with “hillptop medieval towns like jewels atop a crown”. Inspired, she decided to return there to write her latest novel. With romantic notions swirling, she arrived in a Fiat Bambino, baby blue to match her cinched-in-at-the-waist suit. She had enrolled in an Italian language school and was ready to eat every meal with her new Italian family. To her horror, the sun was not shining. No, it was raining, and not just light rain, but a “biblical downpour”. Her suit was soaked and she was freezing. She drove on to the house where her lovely Italian family lived. It was in a run down part of town, with graffiti on the walls, and there was no “family” – just one 80-year-old-lady who didn’t speak any English. Sarah-Kate is a vegetarian, and had to explain this to her host in Italian. The closest she could get was “I don’t eat dog”. It was cold, there was only a single blanket on the bed, no heating and … well, you get the picture. So, being the incurable romantic, she booked herself into a nice room down the road, and started writing anyway. So, if you’re an incurable romantic, visit one of the libraries that we have already re-opened and have a chat with one of our friendly staff for some inspring reading, or simply browse our collection of Sarah-Kate Lynch novels. We hope to have an interview with Sarah-Kate in the next few days – in the meantime read more on her facebook page. Who’d be a literary judge? A thankless task if every there was one – everyone thinks you’ve been bought, are pandering to populism or just chose the book that had the prettiest pictures. The Sir Julius Vogel awards, which honour New Zealand writers of fantasy, science fiction and horror, avoid that by having fans vote, with the winners announced at the National Science Fiction Convention. It’s a cunning move, epsecially as this year the competition is fierce. The young adult section is typical – Helen Lowe (who’s Thornspell broke into the American market) battles it out with Margaret Mahy, Ella West, Fleur Beale and Glynne MacLean. Lowe and West are also up for the best new talent award. Whoever wins, the fans are the ones who voted for it, and they can battle it out with hexes, light sabres and Vogon poetry if they want. Armageddon, anyone? Love it or loathe it, it seems this slice of New Zealand genre writing and its fan base are in good health. Fans of Dunedin crime writer Vanda Symon will be pleased to learn she has finished the third novel in the Sam Shepherd-based crime series. Containment is going through the editing process, but should be out in September. 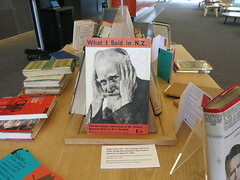 I caught up with Vanda when she visited Christchurch City Libraries for the Words on Wheels tour last week. This interview is about three minutes long. You can also read about Vanda’s experience on the book bus on her blog.